This is a must read for those of you interested in Japanese history. Recognized as the world’s first novel, Murasaki Shikibu’s “The Tale of Genji” is a spiraling epic that encompasses a beautifully complex portrayal of 11th-century Japanese Imperial Court life. 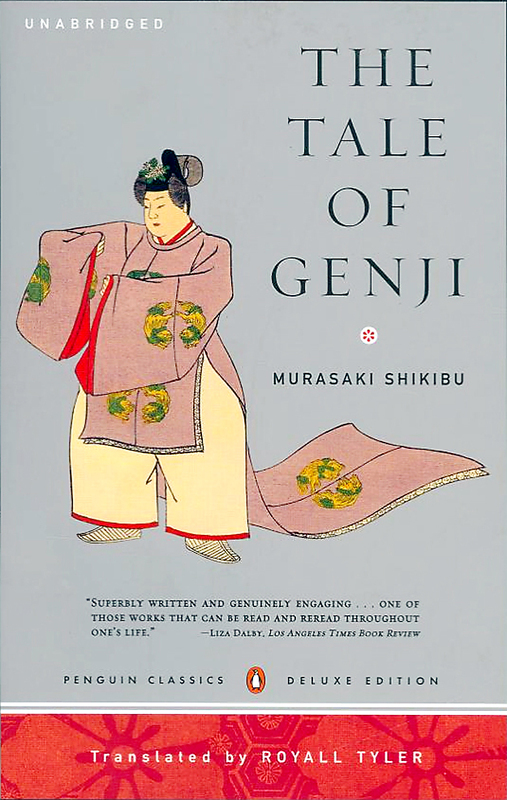 The Tale of Genji, Murasaki Shikibu, Translated by Royall Tyler, PENGUIN CLASSICS DELUXE. Penned by a noblewoman, the novel starts with the birth of Genji, the “Shining Prince,” a son of an emperor. Although much of the book follows Genji’s growth and later exhaustive amorous pursuits, don’t expect a straightforward line of action. Also acknowledged for its psychological study, the novel continues its contemplation of aristocratic society after Genji dies, with the final quarter of the novel presenting the exploits of another young prince, revealing the superiority of Genji by comparison. Royall Tyler’s 2001 translation, too, is superior, not only for the actual text, praised for its lively, exact rendering of the original, but for his inclusion of extensive notes and appendices, including maps of the inner palace, a chronology of the entire novel, and a summary of the poetic allusions found within. To read “Genji” is to walk within the refined culture of Heian Period Japan, (794-1185), to marvel at selfishly pampered aristocracy and to discern the sly intrigue and undercurrents that marked this period in history. LOVED this version! I actually had to read Tyler and Seidensticker side-by-side one semester (reading both unabridged volumes in two months, haha), and I totally agree about which is superior. The text is just so wonderful. Excellent post. 🙂 Murasaki Shikibu was also a really interesting woman. That would have been quite a task reading both at the same time. Well done.